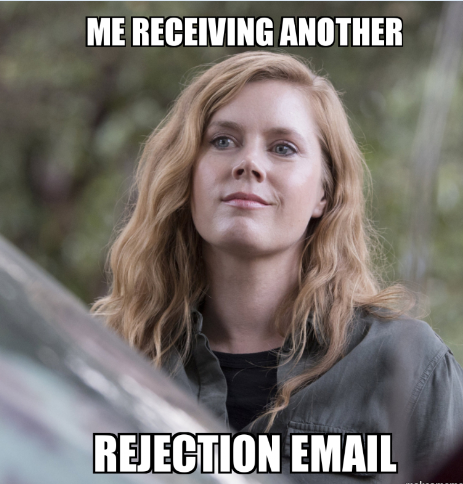 I have a rejection folder in my inbox. No, hold your horses! It doesn’t contain shreds of unrequited love from my teenage years. Instead, it is full of rejection emails from companies where I have sought jobs. Funny thing is, the folder grew in size after I moved to Finland. As if building a new life from scratch wasn’t hard enough, I had to overhaul my career too. In retrospect, starting all over again wasn’t a very bad thing either as not everyone gets a clean slate to rewrite the story. I am grateful that I did. Now, I will start this particular story from my rejection folder. 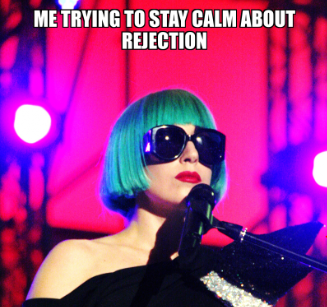 Gee, I never thought that my rejection folder would inspire a blog post. Those rejection emails surely make me angry and push me to the brink of surrender. But I am thankful at the same time because they remind me that I haven’t arrived yet. Anger is good if it evokes a strong desire for improvement. Wouldn’t you agree? I was apprehensive about writing this story as despite having done so many things in Finland I still haven’t found the one that I could tag as the ‘kick-start’ I wanted. I could have waited as stories with a ‘failure-to-success’ timeline sound better. But should we seriously wait for success to look back and benefit from it? No. Perhaps, I will look back one day and happily say that I got 100 rejection emails but I didn’t give up. For now, I am happy monitoring. This has opened up new ways of how I perceive my job search journey. Back in India, if they don’t want to hire you they usually ignore. I think it has something to do with our culture; the messenger of bad news is often cursed. They promise that they would call but they don’t. If you are lucky you get emails. For some strange reasons those emails are still sitting pretty in my folder. In Finland, things have been stranger. You get a work permit but no work! It made me question all those years of education and work experience and even my existence for a while. And I am not exaggerating. I blamed it on the language constraints for a long time. But after spending a year in the language school when I still didn’t find a suitable opportunity, I realized that language skills would never get me there. The fact that I am a communication professional makes it harder because there is no way I can accomplish it in a language that is so difficult. Thus, another introspection was needed. I analyze those rejection emails in my moments of frustration. Most of them aren’t explanatory. Some of them are nice and apologetic. Some are downright rude! I got one saying that they found someone way better than me. I guess, the famous Finnish honesty plays a part in this kind of replies but I can’t see it as constructive feedback. The emails with a ‘why’ are the ones I carefully monitor. For example, one company mentioned that they found my storytelling skills extremely impressive but didn’t think I had experience in e-commerce. But I did. Since most fields of communication are very convergent these days, my background indeed gives me an edge to work in different parts of that spectrum. But I foolishly didn’t highlight it in the interview. So I always learn something from that folder. Then I make notes on how to balance my interests and experiences and, most importantly, how to present them. I am sure, we all have similar folders. So why not learn something from it? Obviously, my heart drops each time I see a new email from a company I had applied to and I say- “it was their loss”. But I thank them, literally. So why would you thank someone who tells you that you are not good enough? Well, it is a professional conduct. Also, you never know when and how this gesture could change your life. Suppose you were their second or third choice and the guy they had chosen decided not to join the company after all. Who do they approach next? That skilled girl with a professional thank you note. I got another ‘nice’ rejection email this morning explaining that I was one of the few they had shortlisted but they naturally picked the most experienced one. So sincerely I thanked them. Moreover, skill and experience are two different things. It was clear that I, at least, had the skills. Also, request them to keep you in mind for future job openings. It makes their jobs easier too. Instead of enduring the long process again they may get back to you. If they don’t give an explanation then request for one. They may not oblige but there is no harm in asking. If there is an explanation then read it carefully. Read between the lines. Perhaps, they didn’t find you passionate enough or you were politically incorrect. 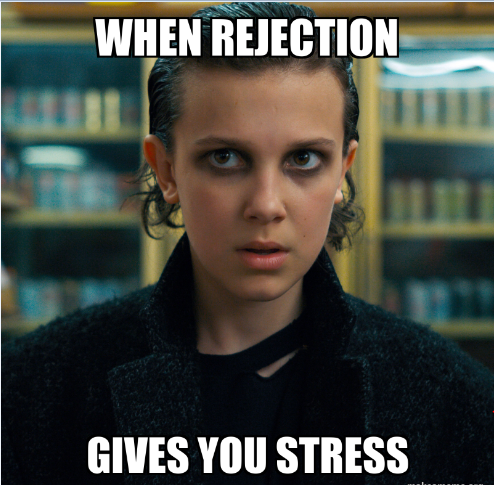 Lastly, instead of staying bitter over the rejection just feel inspired so that you won’t have to read another email like that. If you didn’t have the experience then work on freelance projects or volunteer to balance it. Do the certification you have been meaning to do or just work on your presentation skills. Scrutinize everything from personal branding to professional portfolios. Storyteller. Books and cheesecakes addict.